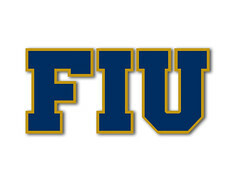 After finishing last season as the #24 ranked team in the nation, FIU comes in at #23 in the NSCAA Coaches Pre-season poll. Conference mate Charlotte comes is at #22, making them the only C-USA teams ranked there. Only the beginning, as we should strive for much better results. Good luck this season and earn those ranking, Panthers! Good find. Happy to see out once dominant soccer program headed in the right direction. FIU Soccer website shows that we won the Furman game haha.